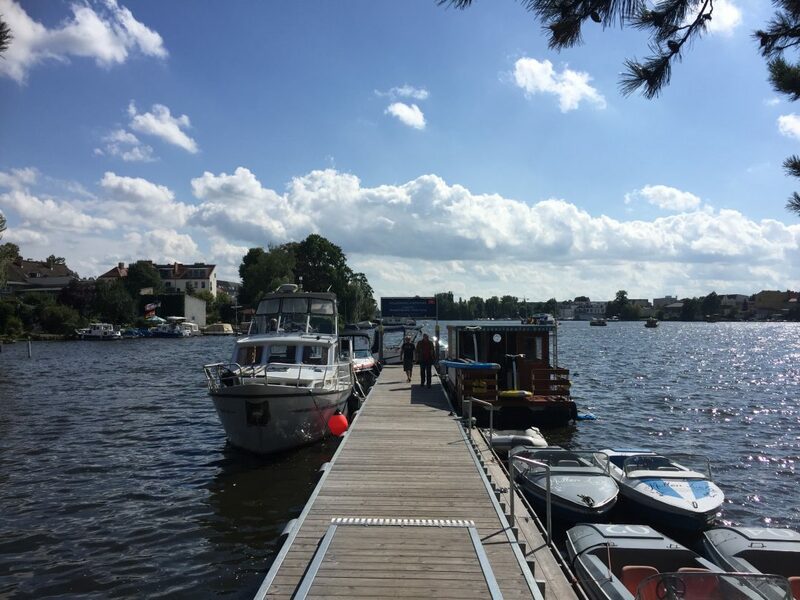 By far my favorite district in Berlin is Köpenick – I like the fact that it’s very green, full of water and has its own old town. 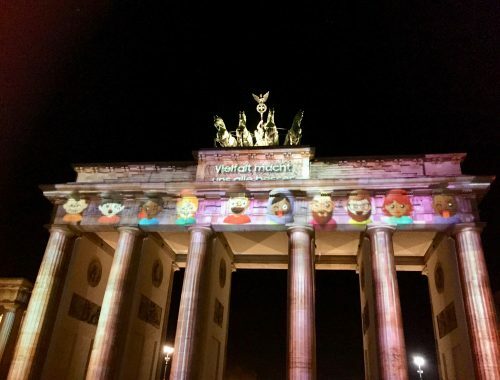 As we visit it frequently to have a break from the rush of downtown Berlin, I have pictures of 3 different seasons of the same places in this article to show, that it’s always worth a visit. First stop on this trip is “Köpenick Altstadt”, the oldtown of Köpenick. Mostly the fastest way is to take commuter train (S-Bahn) S3 to “Berlin-Köpenick” station and from there the Tram. The oldtown is situated on a half-island bordered by 2 rivers and a bay with the castle and the castle park on the top. From the oldtown station „Schlossplatz Köpenick“ we go on with Tram 61 in direction of „Rahnsdorf/Waldschänke“ to „Strandbad Müggelsee“ station. Close to the station is the entrance of the beach bath Müggelsee. 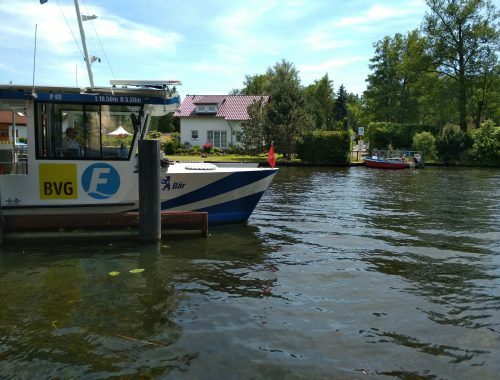 Müggelsee is the largest lake in Berlin with an area of 7.4km², the beach bath is free of entrance all year long. Beside the Müggelsee there are more things to go from „Rathausplatz Köpenick“ station as it is a hub of several tram lines going to all over the Köpenick area – including the line 68, rated as one of the 10 most beautiful tram lines on the planet. 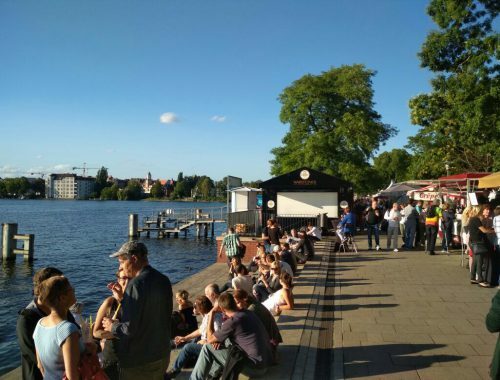 Check out the other Köpenick articles to learn more.